Hundreds of Google employees around the world walked off the job on Thursday in protest of how the company has dealt with sexual harassment. The so-called Google walkout came as a result of a New York Times investigation that detailed years of sexual harassment allegations and multi-million dollar severance packages for accused executives. Employees at the Kitchener office took part behind closed doors. Media was not invited in and no employees were able to speak about the demonstration. Pichai also said he was fully committed to making progress on the issue. The demonstration in Kitchener began around 11:00 a.m. and appeared to begin disbanding around noon. 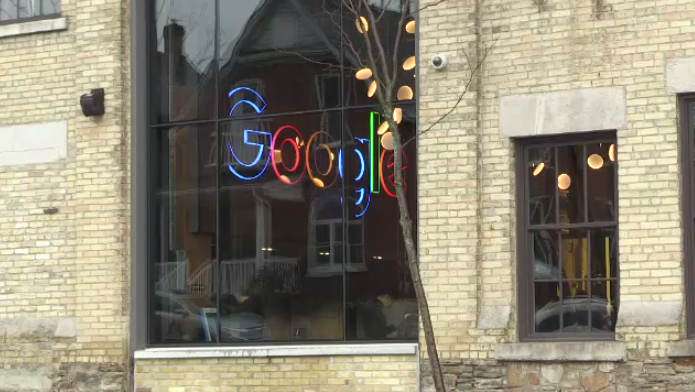 Google employees in Kitchener participated in the walkout from indoors.